ISO 9001 is a designation for organizations to use so as to demonstrate that they are managing their business to achieve the highest quality goods and services. 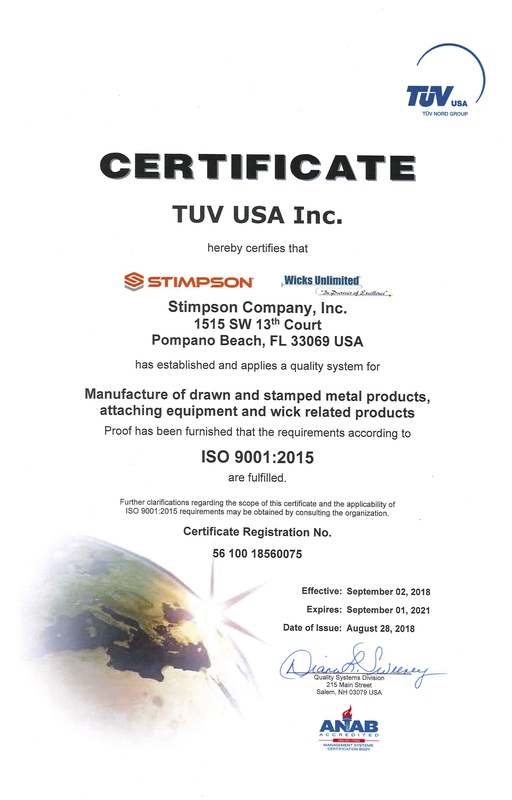 Wicks Unlimited and its parent Company, Stimpson Co., Inc. have undergone extensive review audits by independent third parties to earn the honor to be classified as an “ISO 9001:2015 Certified” Company. It requires a complete dedication to the establishment of, and the management of, superior quality systems. That we have received such recognition is something we are very proud of.